When it comes to decorating your home, we all approach our décor in a strategic manner. 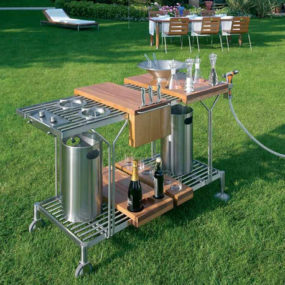 With a design idea in mind. Why should decorating your Christmas tree be any different? Whether you have a specific color scheme in mind, ornaments that you can’t wait to use, and/or a design style that has caught your attention. 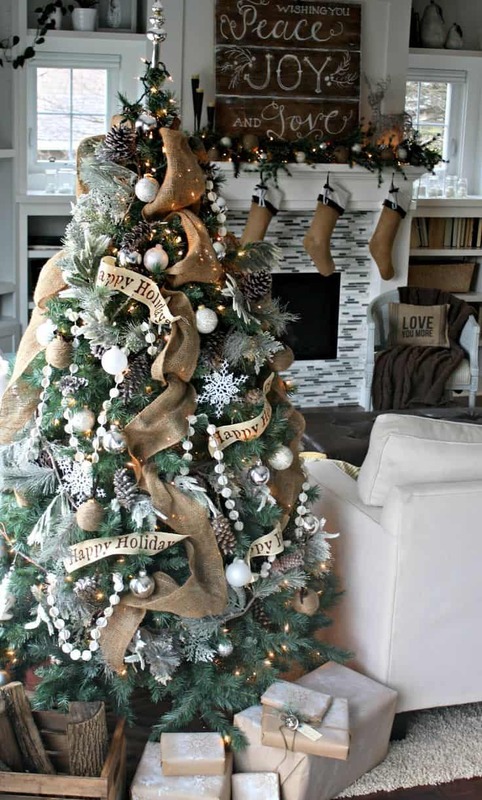 Decorating your tree should not only be enjoyable, but it should blend in with your decor style as well. 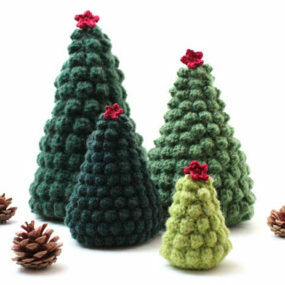 Here are a few stylish new ways to decorate your Christmas tree this holiday season. 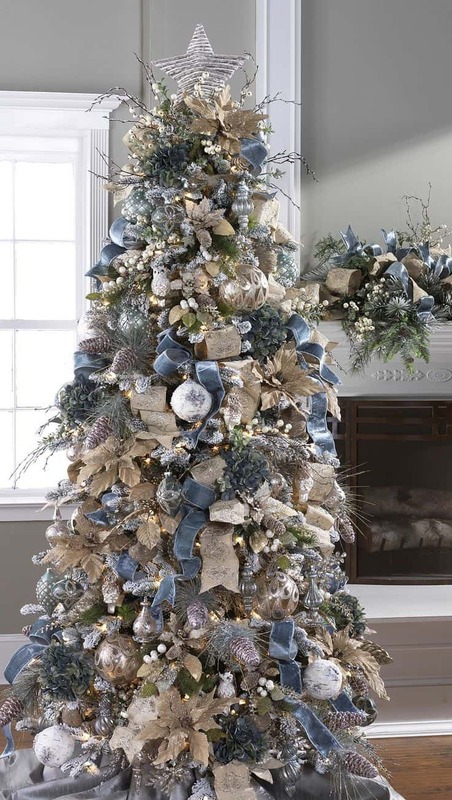 The beauty of having a statement tree like this one is that your entire home can be decorated with a coastal winter theme. Although a coastal theme may not seem like the the color combination you may want to use for the wintertime it will work beautifully in your home and provide a softer take on the Christmas classic hues. 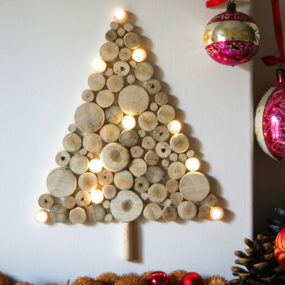 Although Christmas is during the winter time many of us would love to have a summer decorated tree. That is when adding a natural and coastal feel will come in handy. Add ribbons in shades of cream and straw along with large seashells and/or starfish ornaments. Pair them with different shades of blue for a coastal feel that is bold yet elegant. Large ornaments allow you to get as creative as you would like. In fact, we recommend getting creative and using items you normally would this will create the ultimate, personalized tree. Using items in bold shades of green and red add an extra touch of holiday cheer. We have all seen small, dainty ornaments that tend to take up as little space as possible on the tree. However, large oversized ornaments are making a huge comeback in the best way. Add large and bold ornaments to your tree, not only does it help cover a large amount of space, but it is also on the tree. Consider using large ribbons for that whimsical feel. Having a monochrome decorated tree may not seem festive enough. However, it is quite trendy. The color scheme just seems to work in any place it is displayed and your Christmas tree is no exception. Add metallic pieces for a fun twist on the monotone palette. Red and green may be the colors of the season, but they are not the ones taking center stage this Christmas season a monochromatic palette is. A simple white and black palette paired with metallic shades is the perfect revamp for the traditional Christmas colors. 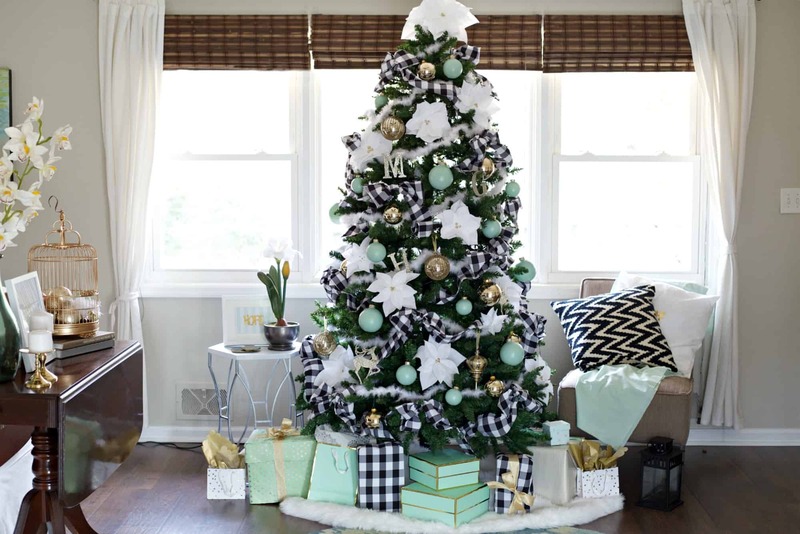 Pastel blue is the perfect shade to create the ultimate Christmas tree. Not only is the color versatile but it works well with numerous different colors. 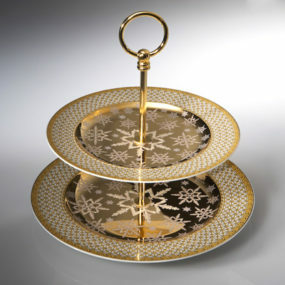 Especially when it is paired with different shades of silver and gold. Add different shades of blue to bring the entire look together. Whether you are looking for a trendy new color scheme for your Christmas tree or you want to try something different having a bright pastel blue tree is the way to go. 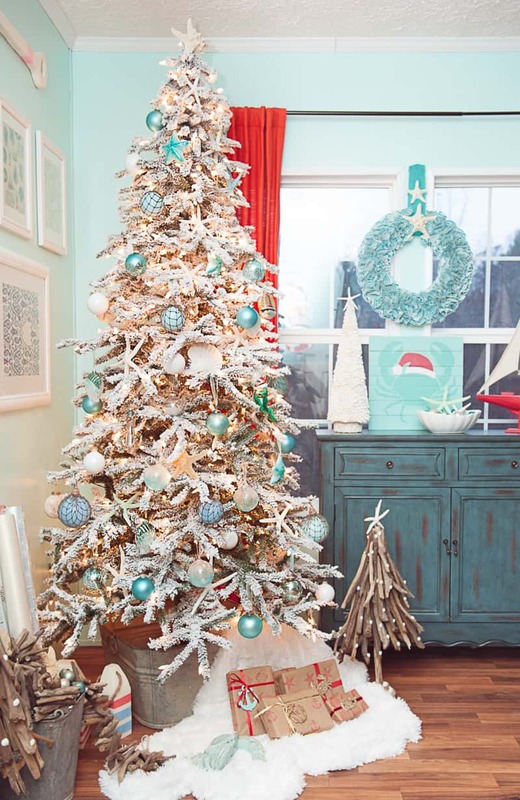 A pastel blue tree falls right into the winter wonderland theme you may be trying to create. Add multiple different ornaments in pastel blue shades as well as a gold garland to bring the entire look together. The first thing we all think about when we hear winter wonderland is snow. 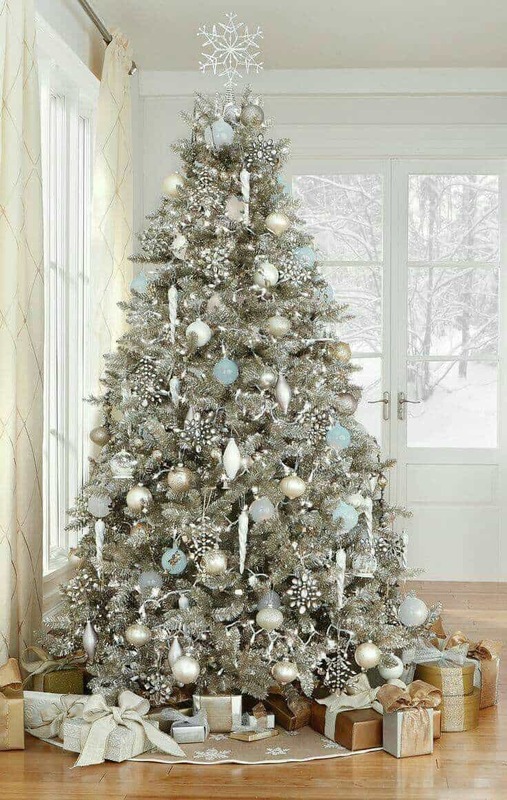 Therefore, creating a winter wonderland theme on your Christmas tree involves including lots of white, silver, and bits of blue with rich snowflake ornaments that bring everything together. Sparkly silver and white ornaments with bold white ribbons will create the perfect winter wonderland feel right in your home. The key is finding the perfect blend of ornaments and ribbons that will give you the elegant yet charming look you want to showcase your tree. 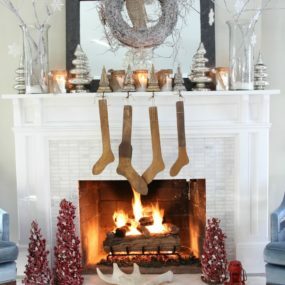 Consider adding some cozy beige accessories for a bit of a country chic twist to your winter wonderland. 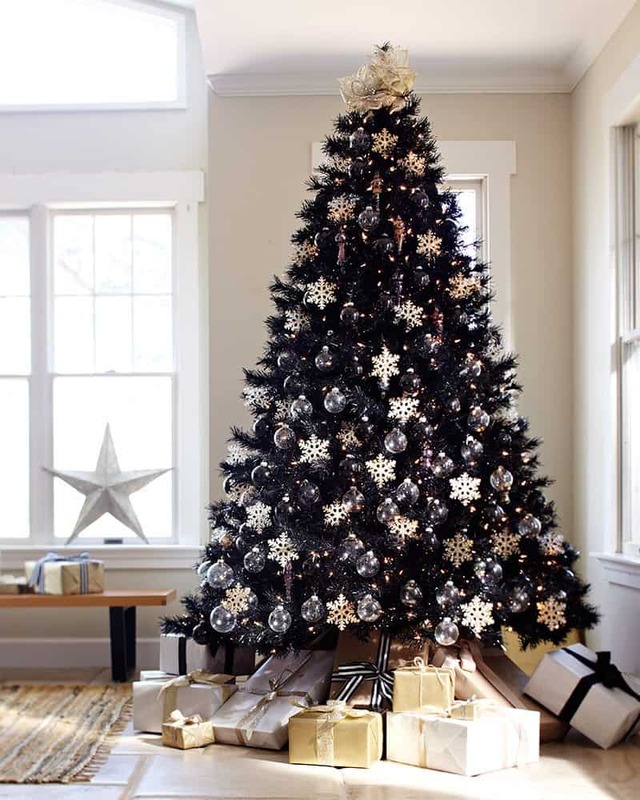 An ombre Christmas tree screams trendy especially when it is paired with a monochrome room. The idea is to have the uniqueness from the ombre tree be the main focus in the room. This can be done by creating an ombre appeal from top to bottom or from bottom to top. You can even get creative and use different shades to create a gradual color effect. This is a new tree trend that is quickly picking up speed, As, an alternative to a white, or green tree contemplate having an ombre tree instead. This can be achieved in two different ways. You can either have an all-white tree and decorate it in an ombre for, such as going from light ornaments to dark ornaments or you can choose. A minimalist tree does not need to be large and over the top, it can actually be small and put together. The idea is having a tree that lets your decor be the center stage. Meanwhile, the tree would simply be an added festive decorative aspect. Pair it with a simple bottom and you are ready to go. 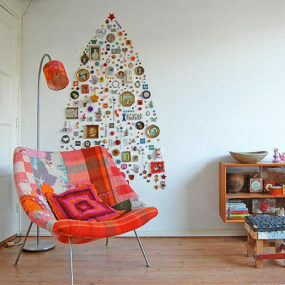 Although most of these trendy and stylish Christmas tree décor ideas have been over the top here is one that is not. Take into consideration having a minimalist tree. 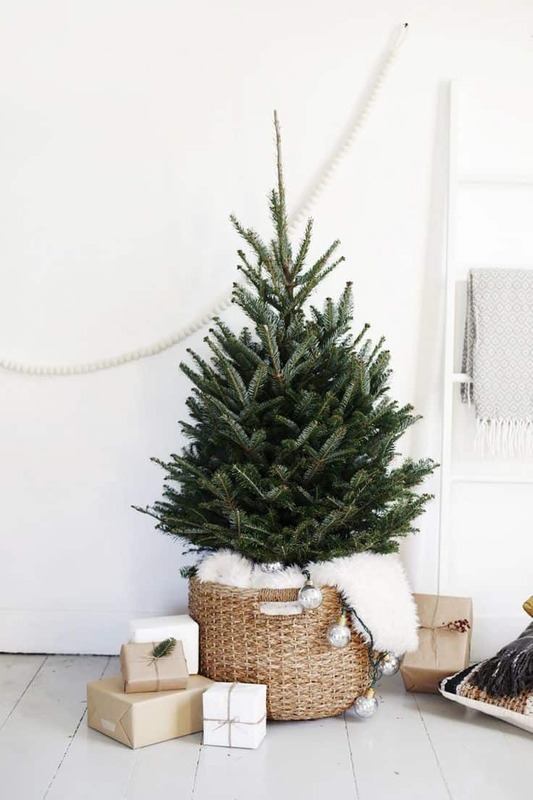 A minimalist tree consists of having a skinny unadorned tree in a cream or all-white room paired with a white or plaid tree skirt for a pop of color and texture. Adding flowers to your Christmas tree may not seem like the ornaments that you may want to add but in all actuality, it adds a feminine touch. 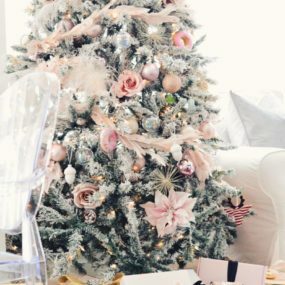 Incorporating a feminine touch to your Christmas tree can give you an elegant yet charming twist to your Christmas decorations. Just like a having a coastally inspired tree is extremely on trend having flowers on your Christmas tree is as well. Flowers are stylish, trendy, feminine, and add a soft yet bold appeal to your Christmas décor. The trick is working with your preexisting décor pieces and add in large flower pieces that work well together. There is something beautiful yet charming about having a rustic Christmas tree. The wooden elements added to your Christmas tree will give the entire room a twist of forest beauty right in the comfort of your home. The key is having warm items that give off the charming appeal of the space. Add a little bit of woodland feel into your Christmas by making your tree a bit more country chic than you normally would. Decorate your tree with ornaments the bring the woodland feel directly to your home incorporate dainty owls, deer, a few snowflakes, and even ornaments made directly out of wood. Although red is a traditional color when paired with faux snow. 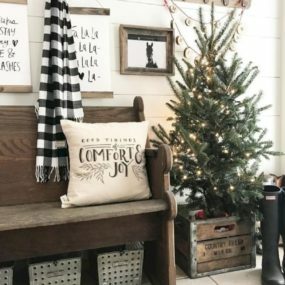 The faux snow on the tree will give you that winter wonderland right on the inside of your home with an upgraded appeal. The upgraded appeal comes from the bold shades of red. Along with different red patterns. Red is the perfect holiday color, especially when it is paired with white. However, instead of using white ornaments, consider sprinkling your tree with faux snow. 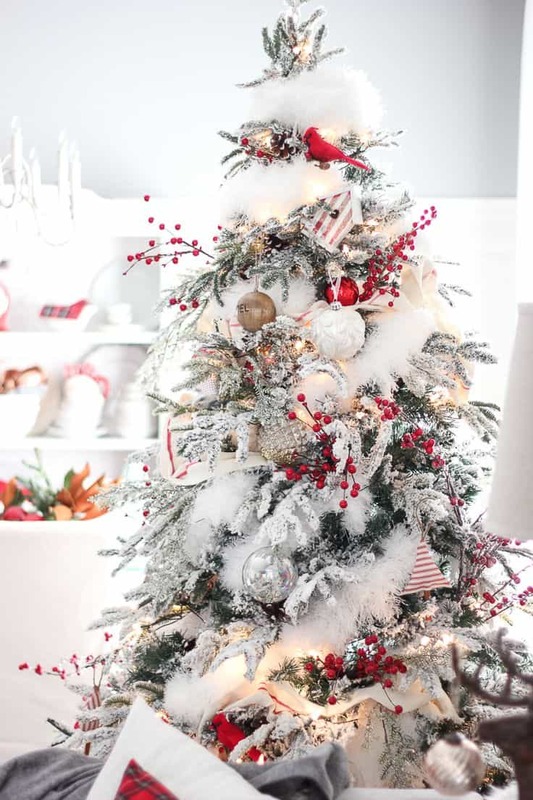 Having bold, bright, red ornaments paired with a tree covered in faux snow will give the tree the distinctive appearance of being one of a kind in a wintery appeal. Your tree does not need to be like any of the rest. 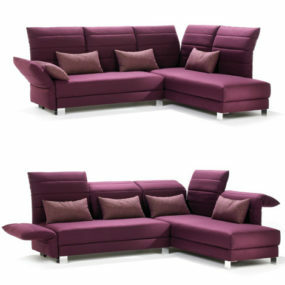 In fact, it can become the main focal point and conversation piece in your home. 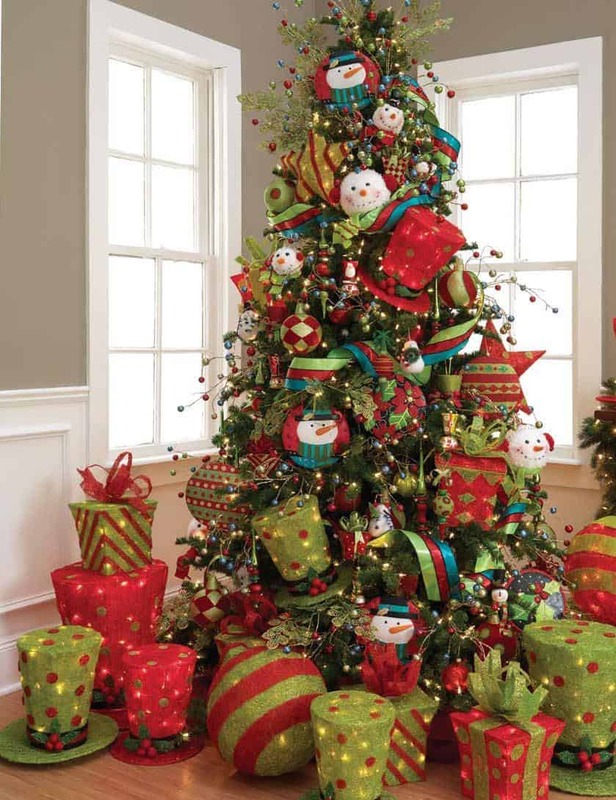 Let us know in the comments below which of these Christmas tree ideas are your personal favorite.